Bell is powder coated steel. Base is made of steel and painted black. Made in the USA. Desk bells are a must have for any service business. 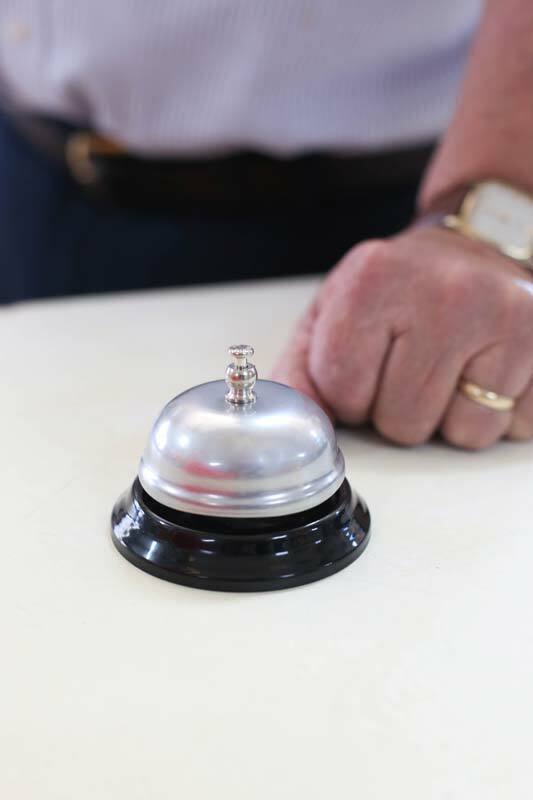 Put this call bell on a desk, podium, or table where guests can easiily call for service. Your employees will be front and center fast with this desk bell!